GuitarTownCT Concerts presents The Matt Flinner Trio with special guest Ben Monder On Friday, Apr. 30. The show starts at 7:30 PM and advance tickets are available for $25 online from GuitarTownCT.com. The Matt Flinner Trio is joined by one of today’s premiere jazz guitarists, Ben Monder. Monder is a veteran of the NYC jazz scene, having performed and recorded with David Bowie, Lee Konitz, Paul Motian, Jack McDuff, Marc Johnson and many others. The trio will write tunes for Mr. Monder the day of the show, presumably inspired in part by the uniqueness of that particular day as well as the excited anticipation of getting to write tunes for Ben Monder! The concert will also feature Ben on a solo guitar tune or two. 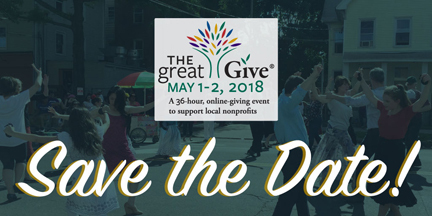 A one-time unique show unlike any other…not to be missed! Matt Flinner has made a career out of playing acoustic music in new ways. Starting out as a banjo prodigy who was playing bluegrass festivals before he entered his teens, Flinner later took up the mandolin, won the National Banjo Competition in Winfield, KS in 1990, and won the mandolin award there the following year. He moved to Nashville in 1999 and is now widely considered one of the hottest and most creative mandolin players on the acoustic scene. His two solo albums for Compass Records, The View from Here and Latitude, both featured bluegrass stalwarts Todd Phillips, David Grier, Stuart Duncan, Jerry Douglas and Darol Anger, and received high critical acclaim. 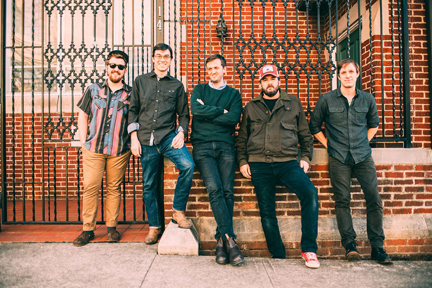 Flinner actively tours with Phillips and Grier (in Phillips, Grier and Flinner) and the Modern Mandolin Quartet, as well as with his own Matt Flinner Acoustic Trio and Matt Flinner Quartet, which released its Walking on the Moon CD on Compass in 2002. He tours actively with the Matt Flinner Trio, as a member of the ‘new acoustic’ trio Phillips, Grier & Flinner, as a member of Darrell Scott’s band, and with guitarist Frank Vignola (David Grisman Quintet). Flinner also special guests on banjo with Leftover Salmon and in the fall of 2008 was a featured soloist with Trey Anastasio and Carlo Aonzo during Orchestra Nashville’s performance of “Concertino” (Don Hart). He most recently appeared on comedian Steve Martin’s new recording The Crow and the Vignola Collectives’ March 09 release, Gypsy Grass . GuitarTownCT Concert Series presents the bluegrass duo Zoe & Cloyd at Best Video Performance Space on Friday, Mar. 16. The show starts at 7:30 PM. Advance tickets are $15 and are available through the GuitarTownCT Web site. Zoe & Cloyd spring from deep roots in American music. Founding members of the acclaimed Americana trio, Red June, and long-time veterans of the Asheville, NC music scene, Natalya Zoe Weinstein and John Cloyd Miller are set to release their second full-length album in spring of 2017. Highlighting their emotive songwriting and signature harmonies, this new recording finds the duo returning to a full band sound with Kevin Kehrberg on bass, and special appearances from Will Straughan of Red June on dobro and Jens Kruger of the Kruger Brothers on banjo. 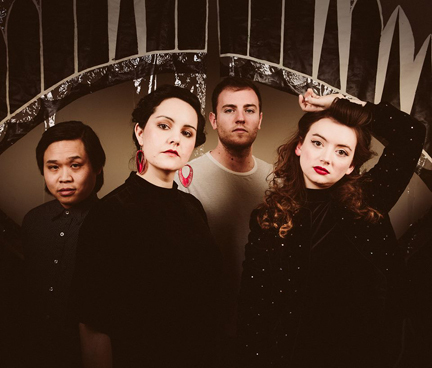 The new record showcases the breadth of their collective musical spirit, seamlessly combining original folk, country, old-time and bluegrass with sincerity and zeal. 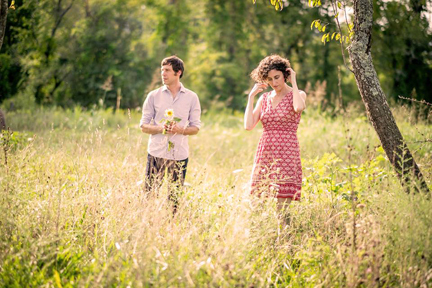 Zoe & Cloyd’s debut recording, Equinox (2015), met with high acclaim and the pair have continued to gain momentum with a 1st place win at the prestigious FreshGrass Festival Duo Contest along with performances at MerleFest, Music City Roots and more. John Cloyd Miller’s foundation in traditional bluegrass and old-time music coupled with his modern sensibility combine to make him a natural musician and performer. A twelfth generation North Carolina native and the grandson of pioneering bluegrass fiddler and NC Folk Heritage Award winner Jim Shumate, his Appalachian roots run deep. John is well known for his haunting mountain voice as well as his instrumental prowess and award-winning songwriting. He is a 1st place winner of the prestigious Chris Austin Songwriting Contest and a recipient of an Artist Fellowship for songwriting by the North Carolina Arts Council. Natalya Zoe Weinstein also comes from a musical family: her father is master jazz pianist and her grandfather, originally from Russia, was a professional klezmer musician. She is an accomplished fiddler in a variety of styles as well as an inspired singer and songwriter. While trained classically in her home state of Massachusetts, she has spent many years fine-tuning her bluegrass and old-time fiddling with some of the country’s top traditional musicians. Now a mentor to many young players, Natalya is a sought after instructor and is in high demand as a teacher and session musician. The monthly first Sunday GuitarTownCT bluegrass jams have become so successful that Chris Wuerth is adding a new jam to the schedule. 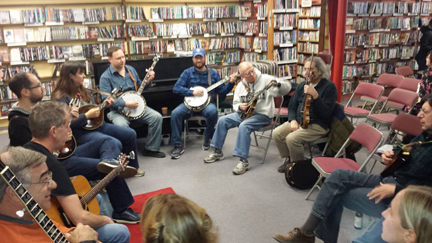 For those who need to twang community-wise more than once a month—or can’t make the Sunday afternoon events—we will now have a bluegrass jam on the Third Monday of every month from 6:30-9 PM. Admission to this jam is a suggested donation of $5. Bluegrass stars Joe Walsh and Celia Woodsmith—joined by Bobby Britt and Zoe Guigueno—play Best Video Performance Space Thursday, Feb. 8. A GuitarTownCT Concert Series show, it starts at 7:30 PM and tickets are available through GuitarTownCT.com. Tickets are $25 in advance and $30 at the door (cash only, if paying at the door). Joe Walsh is from The Gibson Brothers and Mr. Sun, and teaches at Berklee College of Music in Boston. His band Sweet Loam played a sold out show in October 2016, Guitartown’s first Best Video concert. Celia Woodsmith, guitar, and Zoe Guigueno, bass, are from Grammy nominees Della Mae. Bobby Britt, fiddle, is from IBMA Momentum Award winners Town Mountain. This is a young, all-star band whose members have received lots of acclaim and multiple awards, but it’s their first tour together as a band! 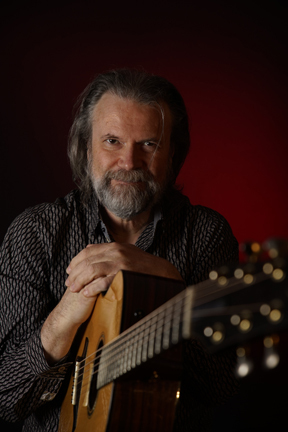 GuitartownCT Concert Series presents virtuoso acoustic guitarist Beppe Gambetta at Best Video Performance Space on Friday, Jan. 12. The show starts at 7:30 PM and tickets are available through GuitartownCT.com. With the horizon’s line as a challenge and attraction, Beppe is continually composing his personal mosaic of sounds and flavours. From his unique background as an Italian musician in love with both American roots music as well as the music of his native country, Beppe has travelled the world and even crossed the “Iron Curtain” to dazzle and charm music enthusiasts everywhere. After eleven CDs, DVDs, teaching books and collaborations with many other top-flight musicians, Gambetta is increasingly known as one of the true live master innovators of the acoustic guitar. While Beppe still lives in his native Genova, he travels to North America at least three times each year. His reputation in the U.S. and Canada is reinforced by his participation in prestigious festivals like the Walnut Valley Festival in Winfield, Kansas, Merlefest in North Carolina, the Four Corners Festival in Colorado and Canadian Folk Festivals in Winnipeg and Edmonton, as well as events like the radio shows “All Things Considered” and “E-Town”. Beppe has performed in prestigious rooms like the Ryman Auditorium in Nashville, Tennessee and the Metropolitan Museum of Art in New York. In his career he has performed with some great heroes of the folk scene like David Grisman, Gene Parsons, Doc Watson, Norman Blake and with the band Men Of Steel: an international guitar summit (Dan Crary, Tony McManus and Don Ross) of different guitar schools with complex musical interactions. In a world dominated by the trends and logic of the market Gambetta’s playing and singing stand out for their intimate emotions, communication, research in tone, sobriety and humour. An inspired music thatt modestly avoids relying solely on his high level of technical excellence, but also reveals the innermost feelings of a brilliant, playful mind that is always exploring and innovating while staying firmly routed in tradition. With America in his heart and his roots in the sun and the olive trees of the Mediterranean sea, he naturally and seamlessly bridges the shores of the two continents, creating in spite of the interposed ocean a musical “koiné” (fusion) where American root music and Ligurian tradition, emigration songs and folk ballads, steel string guitars and vintage harp guitars not only co-exist but interact, weaving a deep dialog unaware of any rigid classification. Music on its way, proud of the past but looking to the future, able to talk to us in the present because it is rooted in the history of generations of men and women so different but so equal to us. Strolling music, intolerant of frontiers and passports, exclusions and obsessions. Vital music, passionate but sober. It is waving to us. Let’s follow it. 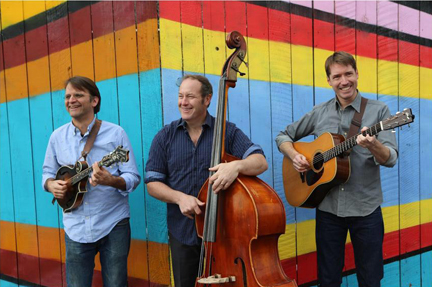 GuitarTownCT Concert Series presents the Boston-based string band Twisted Pine on Friday, Dec. 8. The show is at 7:30 PM and tickets are $20, available through the GuitarTownCT Web site. 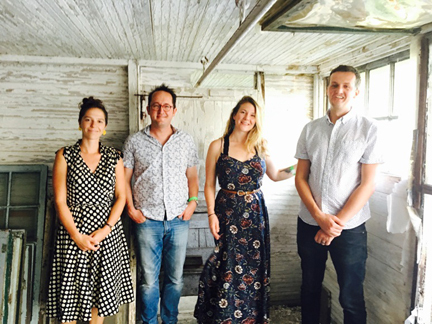 The group features Dan Bui (Mandolin), Kathleen Parks (Fiddle & Vocals), Chris Sartori (Bass) and Rachel Sumner (Guitar & Vocals). GuitartownCT Productions presents Rob Ickes and Trey Hensley Friday, Sept. 15, at 7:30 pm at Best Video Performance Space. This is a unique collaboration between two supremely gifted musicians. Rob Ickes is a 15 time IBMA bluegrass dobro player of the year, and Trey Hensley is a young singer/songwriter with jaw dropping guitar skills. Their first album, “Before the Sun Goes Down,” got a Grammy nomination in 2015. Tickets are $25 at GuitarTownCT.com. This collaborative effort is bound to be a revelation to traditional music fans on several counts. 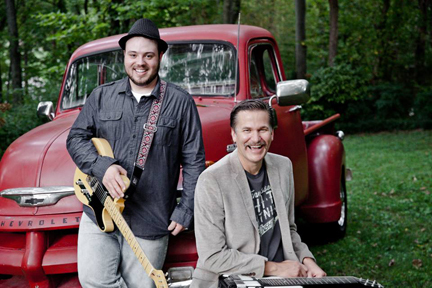 Rob Ickes is a longtime, well-established instrumental giant, and Trey Hensley is newly arrived in Music City, bursting with talent both as a vocalist and guitarist. Their new album, Before the Sun Goes Down, is slated for release this winter. From his powerful yet sympathetic vocal interpretations of traditional and contemporary material to his jaw-dropping instrumental skills on both acoustic and electric guitar and considerable songwriting talents, Trey Hensley is bursting at the seams with freshness and musical excitement. His resonant baritone voice is rich, expressive, and equally at ease with classic bluegrass, traditional country, and original compositions. Raised in Jonesborough, Tennessee, Trey began playing guitar and singing when he was 10 years old. Invited by Marty Stuart and joined from the wings by Earl Scruggs, Trey Hensley landed on the Grand Old Opry when he was only 11. To this day, Marty Stuart remains a fan and booster. Trey has already in his young life played with Johnny and June Carter Cash, Charlie Daniels, Ricky Skaggs, Steve Wariner, The Oak Ridge Boys ,and Janie Fricke. He’s appeared on bills with Sara Evans , Charlie Daniels, Peter Frampton, Randy Owen, Steve Wariner, and Marty Stuart, and has appeared before President George W. Bush, First Lady Barbara Bush and Vice President Cheney. UPDATE: There will be no Sunday Bluegrass Jam this July. The Bluegrass Jam resumes the second week of August—Sunday, Aug. 13, from 2-5 PM. The “First Sunday” Hamden Bluegrass Jam—hosted by GuitarTown CT Productions—takes place on Sunday afternoon, July 2, from 2—5 PM in Best Video Performance Space. 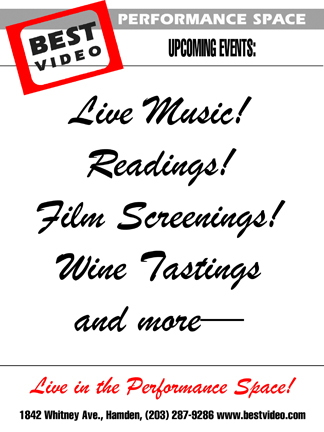 There is no cover so come on down—have a coffee, beer or glass of wine and enjoy the music. It’s all acoustic and mostly traditional. 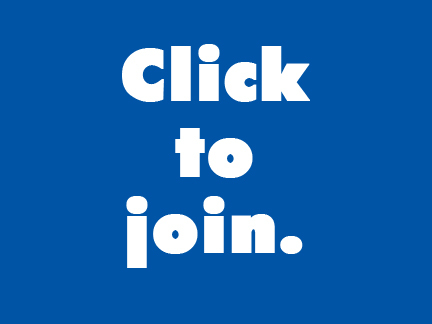 Any and all bluegrass players are welcome.